Hi everybody, this is Steven Mill again with another article about a much discussed topic: voltage regulation and power factor. If you’re interested in publishing articles like me, you can send a mail to the staff of the EEC community! I’ll be glad to read your essays as well. Voltage regulation and power factor justification are very much interdependent, especially in commercial establishments. 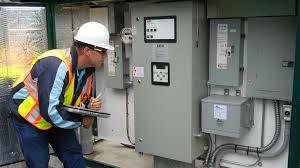 In most cases, it can be a very costly affair to obtain voltage regulation. 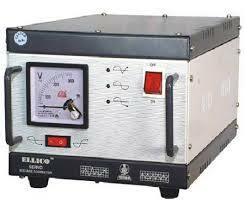 One of the best solutions to obtain voltage regulation is to employ large or parallel conductors in the circuit. This will help reduce voltage drop when larger loads are in operation. How can power factor contribute to this? Now that we have understood the importance of voltage regulation and power factor justification, let us now understand their importance individually. A good voltage regulation controls the voltage of an entire system, so that it stays within the specified limits, and is safe to work within all kinds loads specified by the manufacturer. In other words, a good voltage regulation, sees to it that all the electrical equipment within the defined circuit, are supplied with the voltage that is almost equivalent to their individual designer needs and specifications. Note: Voltage regulators are normally employed in circuits where voltage regulation is not possible by changing the size of the conductor. 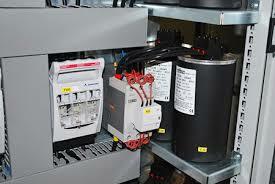 Voltage regulators can both be automatic as well as manual, and come in varying sizes and shapes. Let us say, you have installed a new load (e.g., a heavy load genset) in your commercial apartment, and it has resulted in a poor power factor. What will you do? Well, in such cases, you generally perform power factor correction. This correction often requires installation of some extra capacitors in the circuit, which can be an expensive affair. Hence, it is recommended that a proper evaluation is made (with the help of professionals) before installing large equipment in your buildings such as, refrigeration systems, central air conditioning systems, etc. This evaluation helps in determining if an economic alternative, such as a synchronous motor can help serve the purpose. If installing a synchronous motor can help achieve power factor correction, it will be a cheap and durable alternative. ‘S’ is the apparent power measured in Volt-Amperes. Neglecting poor power factor (if, PF<0.9) in your building, may not only attract penalties from the power supply department, but may also increase your electricity bills enormously, and this because, a circuit with poor power factor draws more electricity from the mains. Thus, by having a better understanding of the voltage regulation and power factor justification, you will not only be able to keep your electrical equipment safe, but you will also be able to save on your electricity bills. And the expenses incurred in installing a suitable voltage regulator and getting the power factor checked, will generally be returned to you in the form of better equipment performance, durability and electricity savings, within a year. or copy this trackback: http://engineering.electrical-equipment.org/electrical-distribution/understanding-better-voltage-regulation-and-power-factor-justification.html/trackback from your own site.